25 years ago a crash so shocking it bears remembrance happened. On its 25th anniversary the NTSB makes bold suggestions on what it will take to stop this problem. Twenty five years ago a single drunk driving crash in Carrollton, KY killed more children than did the gunman at Sandy Hook Elementary school. Now, a quarter century later, the percent of those killed on our roadways by drunk drivers is about the same, at a third of all crash deaths. On the anniversary of that crime, the National Transportation Safety Board (NTSB) released new recommendations it says will reduce drunk driving, and the deaths that it causes to zero. 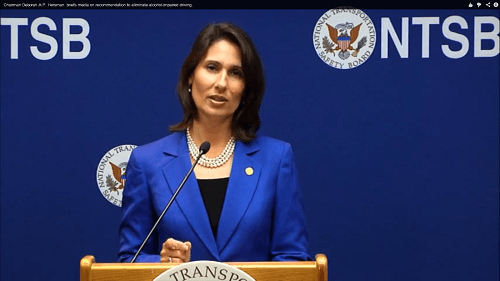 Speaking about the first recommendation, Deborah Hersman said “What we know is that we (the US) have seen overall reduction in the number of fatalities when a .10 (point one-oh) blood alcohol content (enforcement level) level to a 0.08.” She went on to say “It has the effect of everyone drinking less.” Both Europe and Australia also saw reductions in drunk driving accidents and deaths when they moved the more rigorous enforcement standard. In a welcome departure from mainstream media’s lack of reporting on the issue, the Boston Globe’s April 7th, 2013 front page headline was “Drunk-driving arrests becoming rare in Boston.”* The story went on to explain that the crashes from drunk driving and deaths were not down, just enforcement. In the last four years the Globe found that drunken driving arrests had plummeted by fully one third. The second recommendation above speaks directly to this reduced enforcement trend. For example, Boston Police do not conduct Drunk Driving checkpoints. Mass. State Troopers do on the roads they patrol, but not in Boston. The NTSB pointed out that though these steps seem very bold, action must be taken. On average one person every hour dies from drunk driving. The announcement was the result of a year-long study in which the NTSB used the best scientifically derived data possible to try to undertand, and then make recommendations to solve the problem.